Attorneys Lori Landew, Esq. and Laura Solomon, Esq. will highlight the most common legal issues for artist and provide useful tools, using examples from their private practices. Know the costs and benefits of registering a trademark to protect your brand. Twenty-Two Gallery announces a call for artists for a gallery representation opportunity. The gallery is currently reviewing artwork for inclusion in their limited Artist Membership Gallery. This type of art gallery is similar to a cooperative, but with less responsibilities and more benefits to the artist. Full Member – A $125 per month member fee and 15% commission on art sold will apply. Also, artists gallery-sit one day per month. Artist’s work is shown year round on Member area walls. Artist is offered a solo show every 1 1/2 to 2 years. Non-Sitting Full Member – A $175 per month member fee and is the same as a Full Membership but no gallery sitting is required. Twenty-Two has been cultivating and celebrating the arts and artists in the community since it’s establishment in 2001. As a Member Artist you would have a year-round space to display your artworks and networking opportunities. Seeking artists local to Philadelphia metro area in PA, NJ, and DE. Benefit from a 3,000 subscriber email mailing list and 750 postal mailing lists. The gallery handles all sales taxes and credit card fees and has a social media following. The gallery holds social, musical, and business events at the gallery which brings in more potential customers during the non-gallery hours of operation. 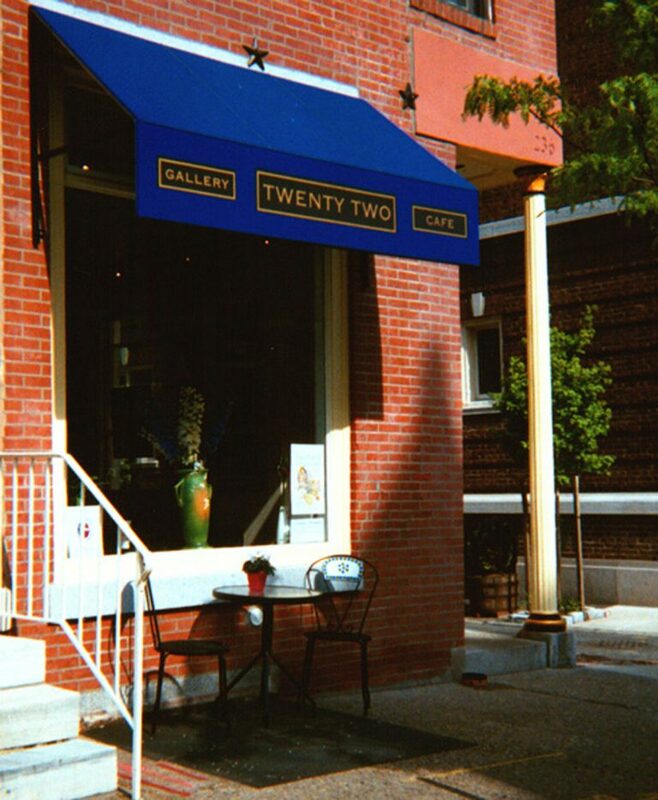 Twenty-Two Gallery has been a well respected fine art gallery since its inception in 2003. For over 15 years, they have supported and promoted regional emerging artists in many mediums. They are proud to say that many artists have gone on to a much larger successful art career from the exposure that the gallery has given them. For a monthly fee, our gallery helps the artist succeed by offering professional installation of their artwork, curating, lighting, labeling, signage, and advertising. The gallery is located in Rittenhouse Square, a very prestigious area of Center City Philadelphia. For more information, contact shawn@twenty-twogallery.com. InLiquid Art & Design announces a call for artists for Art for the Cash Poor, a fabulous annual block party-style event that allows the chance to show and sell work directly to the public in a lively social atmosphere. The 19th installment of InLiquid’s Signature Summer Event, Art for the Cash Poor will be making a special move (this year only) to the Callowhill District in partnership with Arts + Crafts Holdings for a one-day art festival outside-just behind Union Transfer. This year’s event will be a festive transformation to this evolving neighborhood. This outside block-party style art sale that directly benefits visual artists and craftspeople will feature multiple spaces along 10th Street from Buttonwood to Hamilton, activated by artists and local organizations. Art for the Cash Poor is open to artists, designers, and crafters who make and produce their own work. All work is to be sold for $199 and below. Participating artists vendors will have the opportunity to interact and sell their work with an engaged audience. Art for the Cash Poor has a 19-year following of attendees of art collectors. Our regular attendees includes gallery and independent curators and art consultants looking for new talent. Vendors keep all proceeds from their sales. They will be featured as a participant of Art for the Cash Poor on the InLiquid website for the remainder of the 2018 calendar year. Vendors will receive a 10 x 10 outdoor space (vendors must provide their own tent). A staggered load-in time will allow for easier transportation of their booth materials. Tables and chairs may be rented for an extra fee. InLiquid is a 501(c)(3) nonprofit organization committed to creating opportunities and exposure for visual artists. They serve as a free, online, public hub that showcases Philadelphia’s vast visual arts culture. Through the active promotion of artists’ work and credentials via online accessibility, numerous ongoing exhibition programs distributed throughout the city in InLiquid Gallery and unique alternative spaces, meaningful partnerships with cultural organizations and corporate clients, unique community-engaged events, and the facilitation of relationships with art collectors, InLiquid delivers the richness of our region’s visual art culture to broader audiences, thus increasing appreciation of all forms of visual culture. For more information, contact saraz@inliquid.org. Mad Rex is looking for artists to showcase and sell their work during our 7pm-9pm Wednesday The Hour After event. As a post-apocalyptic restaurant, Mad Rex provides space for a bazaar where local businesses, artists, and survivors can meet at a central watering hole. The trading post is open every Wednesday. There is no fee to participate. The Hour After networking event provides a complementary space with a unique atmosphere to showcase artwork. The Hour After is a high traffic event during the restaurant’s happy hour. This is a reoccurring weekly event. Artists may participate multiple times throughout the year. They receive 20% off all food and drinks the night they participate. Mad Rex is a post-apocalyptic themed restaurant and virtual reality lounge. The concept was designed specifically with Philadelphia in mind. Customers pay to rent a VR headset which comes loaded with games and videos for them to watch. They can check out the specially-developed VREX lounge with curated content. Mad Rex has hired local artists to design each aspect of the restaurant including the bar top, graffiti-covered crashed plane coming through the ceiling, and costumes that adorn mannequins all over the restaurant. For more information, contact daye@rexgryphon.com. Immigration Now is a juried exhibition that brings together works by artists from a wide range of backgrounds. They explore American immigration through personal experience within the past 30 years. Works may encompass a variety of media and styles, engaging the deeper meanings of transcultural migration to the United States. This exhibition will be on view to a diverse student population at Penn State Abington College, which is in a suburb just outside Philadelphia. It is free to submit entries for this exhibition. Selections will be made by a succession of two jury panels. The first panel consists of Penn State Abington faculty members listed below. A second panel of Penn State Abington students who identify with the immigrant experience will make final selections. This exhibition is open to all artists working in the theme of US immigration from contemporary personal experience. The contemporary experience as defined by this exhibition includes work that discusses themes, concepts, and events that have occurred within the past thirty years. Chosen artists for Immigration Now will have the opportunity to exhibit work in a forward-thinking group exhibition that will be on view to a diverse population. Artists’ works will be featured on a college campus that strives to engage many points of view from many first generation college students. Many of whom are first generation Americans. Artists’ works will feature in a conversation already happening on college campuses, but especially on the campus of Penn State Abington College where many students understand firsthand about the immigrant experience. Artists will get to speak to this community and others that exist in the Philadelphia area. The Penn State Abington Art Gallery is relatively new at about three years old. The mission of the gallery is to bring new work and ideas to a college campus that educates students in a variety of majors. The Art Gallery contributes to the local conversation of the college. It features experimental and contemporary work that are important in the contemporary conversations of the United States. The Penn State Abington Art Gallery services the immediate campus community and the community at large, a suburban area of Philadelphia. For more information, contact psuabingtonartgallery@psu.edu. Fairmount Park Conservancy seeks to commission one artist or artist team to create a temporary outdoor art installation for the 6th annual Glow in the Park. Event to be held at the Reflecting Pool at the Fairmount Park Horticulture Center. 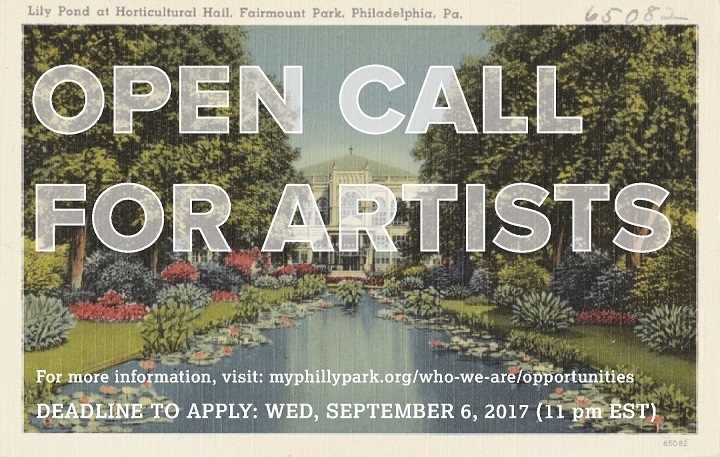 Fairmount Park Conservancy is looking for a piece with a sense of fun, spectacle, and intentionality. The artwork should speak to its setting and create a unique experience for those attending. This commission is part of a larger effort to forge new connections between artists and cultural partners with communities and the public realm. The conservancy is working to engage the power of the arts to enhance treasured city parks and to provide a new lens through which to see, understand, and experience them. Chosen Glow In The Park artist(s) will receive an artist fee. The total project budget is $7,000 which is inclusive of all artist fees and fabrication costs. Fairmount Park Conservancy exists to champion Philadelphia’s parks. They lead capital projects and historic preservation efforts, foster neighborhood park stewardship, attract and leverage investments, and develop innovative programs. They are located throughout 10,200 acres that include Fairmount Park and more than 100 neighborhood parks around the city. Philadelphia has one of the largest urban park systems in the world. It provides residents with extensive health, environmental, social, economic, and cultural benefits. Through sustained leadership, significant investment, and strategic efforts, Fairmount Park Conservancy positions Philadelphia’s park system to become a world-class, preeminent park system. It is a national model for urban revitalization, sustainability, and civic engagement. For more information, contact arts@myphillypark.org. 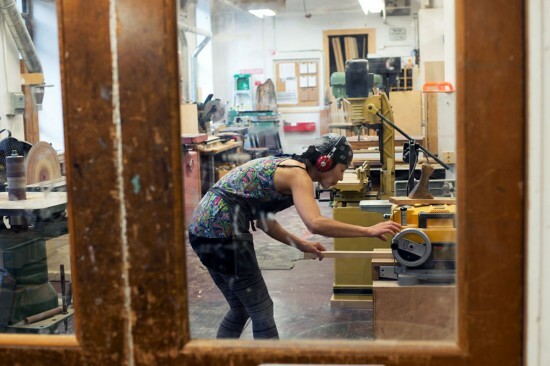 The Windgate ITE International Residency, organized by The Center for Art in Wood, is currently seeking artists for an 8-week, intensive program during which the resident fellows live and work together at the University of the Arts, in downtown Philadelphia. The Center selects from an international pool of applicants one photojournalist, one scholar, five artists, and one student artist who work either solely in wood or who work with wood in combination with other materials. ITE is designed as a collegial experience and encourages an open exchange of creative and technical innovations. Residents are able to pursue both individual and collaborative work that is explorative and experimental. The residency runs from the first week of June through the first week of August 2017 and includes several public programs; field trips to artists, collectors, and museums in the region; and culminates in a multidisciplinary exhibition with photos and essays documenting the residency experience. The Center is accepting applications from scholars and student artists for 2017, and in all categories for 2018 and 2019. Artists – must work either solely in wood or wood in combination with other materials utilizing multiple techniques and demonstrate artistic innovation, technical know-how, and professional experience. 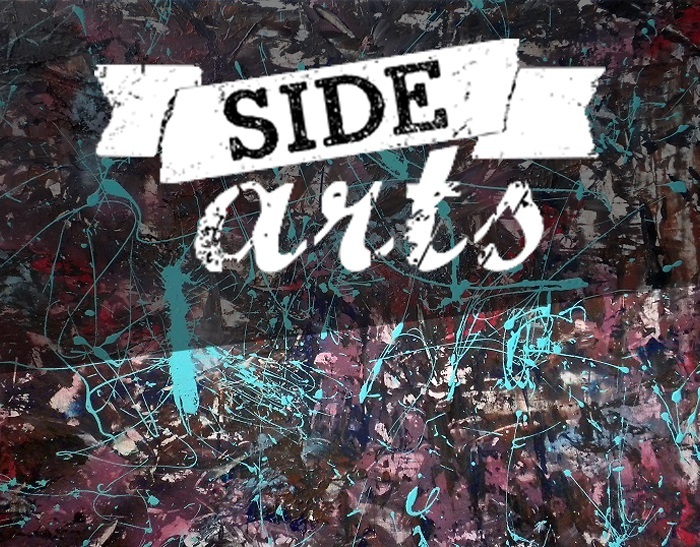 Student artist – is open to current BFA, MFA, undergraduate, or graduate candidates, or applicants one year out from an undergraduate or graduate program, or equivalent formal education. Photojournalist – documents the residents’ experience using the medium of their choice and is free to pursue artistic as well as documentary projects. Scholar/educator – joins the group for one week mid-residency to explore personal research, engage in open discussions; and conduct interviews with the residents about their backgrounds and experimentation during the residency. The intention for this exchange is to stimulate scholarly dialog among the residents and to provide the basis for a written reflection. Resident fellows receive a $400 weekly stipend; reimbursed roundtrip transportation to Philadelphia; housing at University of the Arts; group use of a mini-van to obtain wood and supplies; and field trips in the mid-Atlantic region to contemporary wood artists, collectors, and craft museums. The Center also offers a modest allowance for special materials and tools. Alumni fellows have particularly valued the opportunity to collaborate and learn new techniques from each other. The exhibition, allTURNatives: Form + Spirit, is a significant showcase for their artwork before and during the program. The Center for Art in Wood organizes changing exhibitions of contemporary wood art on site and in traveling exhibitions. Since its inception in 1995 the Windgate ITE International Residency has involved over 140 residents from 17 countries. The permanent collection contains 1,100 pieces of artwork from around the world, ranging from functional, every-day objects to contemporary sculptures. The research library consists of over 25,000 books, images, and artists’ files which help preserve the history of wood turning and woodworking and their evolution as a contemporary art form. Over the last two years, the Center mounted 15 exhibitions, published catalogs and books, and offered numerous special exhibition-related events. For more information, contact karen@centerforartinwood.org. SPOKE magazine is opening a pop-up gallery for November First Friday in Philadelphia featuring work that uses Futurism to address contemporary social issues – Outbound: Mobility, Community, Future. SPOKE magazine seeks work that provokes conversations about movement, culture, and the built environment in the context of the Philadelphia community. Artists are encouraged to take a broad view of Futurism itself and how the form can represent new visions for an urban society. This is a free opportunity to get gallery space on First Friday in Old City. The space is located at 2nd and Vine. The open gallery on Friday will be followed by lectures and panel discussions on Saturday. The work will stay on display throughout the weekend and serve as active material for the talks on Saturday. SPOKE magazine uses art and design to explore the relationships between people, transportation, and urban spaces. While it primarily takes the form of a print publication, SPOKE is beginning to step into other forms. It seeks to open conversations with other communities and perspectives of the city, hoping to better understand the way Philadelphia moves and grows. For more information, contact elliott@spokemag.co. APOP Studios announces a call for artists for thier first online juried exhibition of artwork surrounding the theme Positive Affirmations. This exhibition seeks to promote work that demonstrates an artist’s’ positive outlook on themselves or society. APOP Studios seeks to help artists and creatives find happiness through one-on-one coaching and products. For more information, contact info@apopstudios.com.